Poor biomechanics is generally the underlying cause of most types of Arch and Heel Pain. Biomechanics is how our feet interact with the ground or the surface we walk, run or play on. Improper biomechanics places too much stress on the heel bone, ligaments, nerves or other structures of the foot. Other contributing factors could be walking or jumping on hard surfaces, poorly made footwear or being overweight. Other health conditions like gout, arthritis, circulatory problems, etc. can also cause pain in this area. 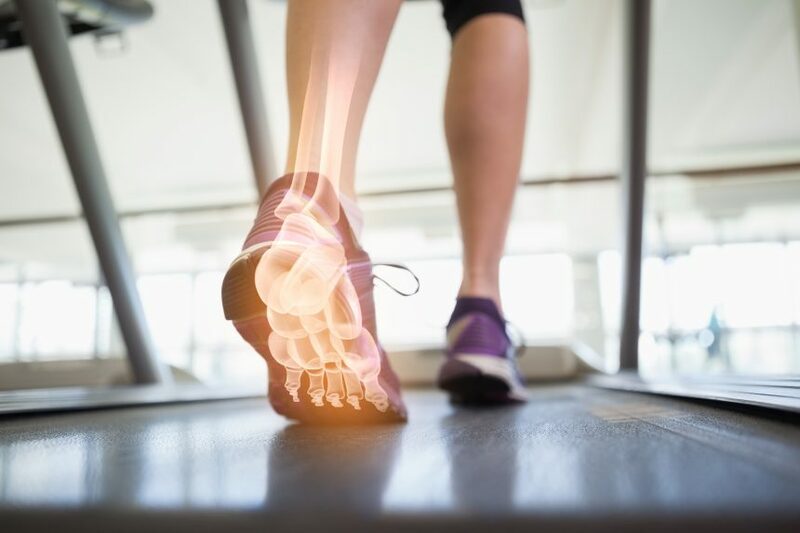 A very common cause of foot pain is Plantar Fasciitis which is an injury to 1 or more of the ligaments or bands of long connective tissue running from the heel to the ball of the foot. The most common symptoms are pain under the heel or arch – often when first getting out of bed in the morning. Although patients may have their “good and bad days”, the problem seldom gets better without proper treatment. Heel spurs are again often related to poor biomechanics and are growths of bone that develop on the underside of the heel bone. Generally patients feel pain when inflammation develops to the point where the spur forms. Heel spurs can occur without pain but generally get worse with time. Achilles Tendinitis is an irritation or inflammation of the tendon that attaches to the back of the heel bone. The condition can be caused by poor biomechanics, injury, over-training or improper warm ups. The condition can be treated with numerous conservative treatments such as orthotics, ice, rest, aspirin or anti-inflammatory medications. Haglund’s deformity or Pump bump is a bone enlargement at the back of the heel in the area where the Achilles Tendon attaches to the bone. The deformity generally is caused by poor biomechanics which increases motion of the heel bone against the back of the shoe.